With this sample project, it is demonstrated how the checkboxes can be used to perform a disjunct row selection in the grid. 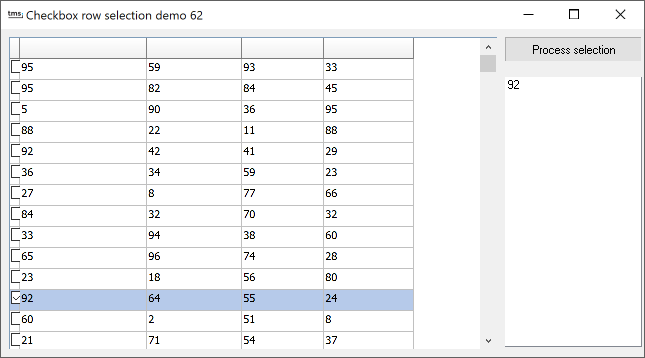 This is done by adding a column of checkboxes in the grid and from the checkbox click event control the disjunct row selection state of the rows clicked. This code adds a checkbox in the first column for every row in the grid.